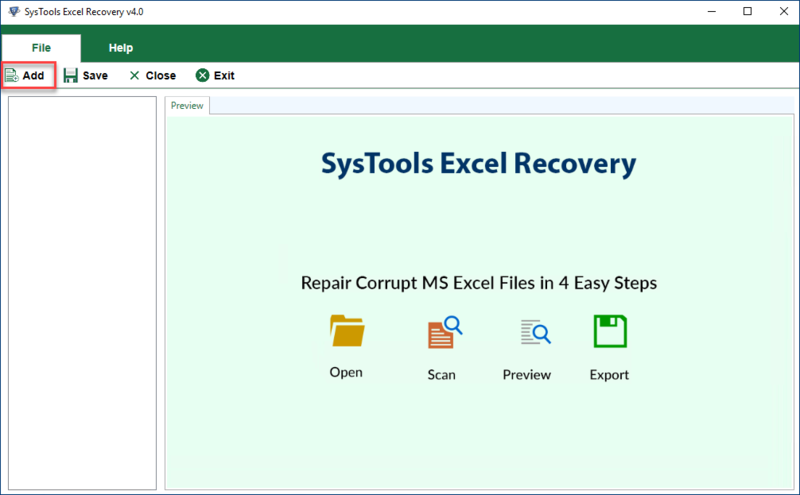 Know How to recover & repair corrupt Excel file or XLSX File of MS Excel 2007, 2010, 2013, 2016, 2019. 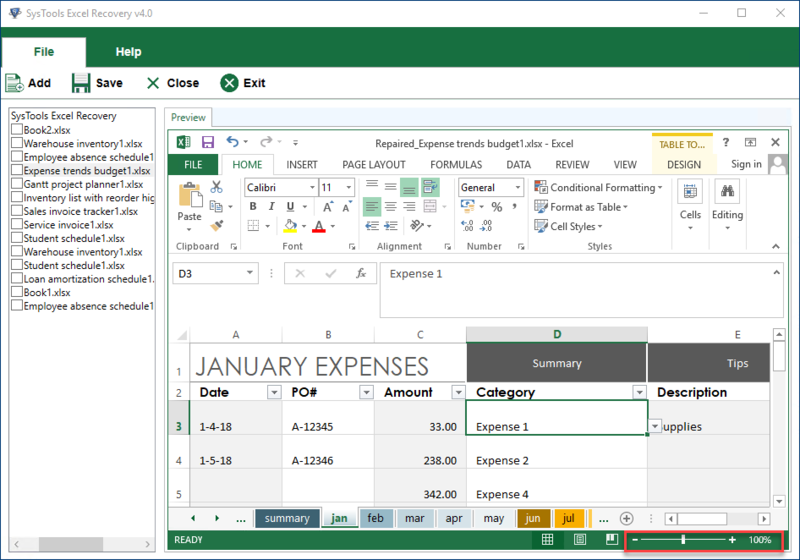 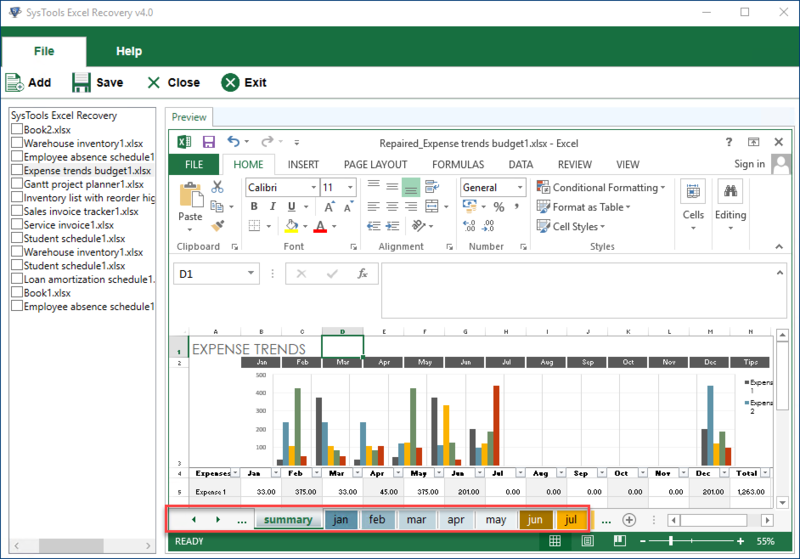 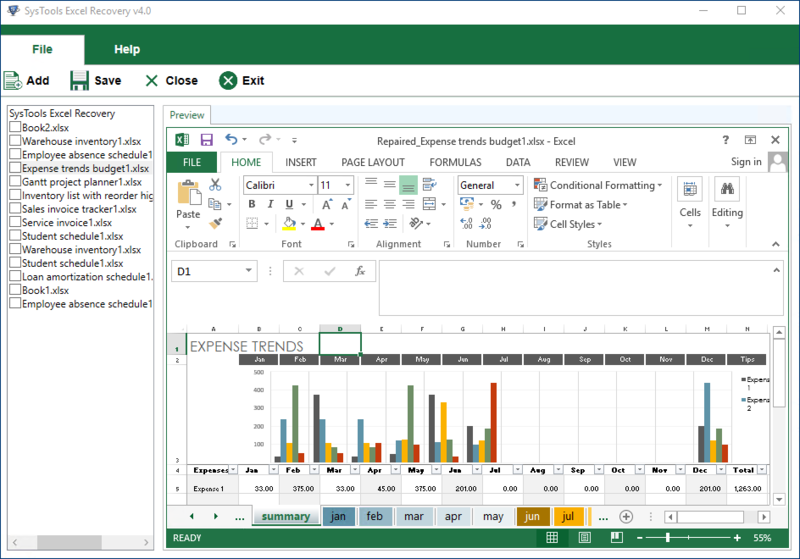 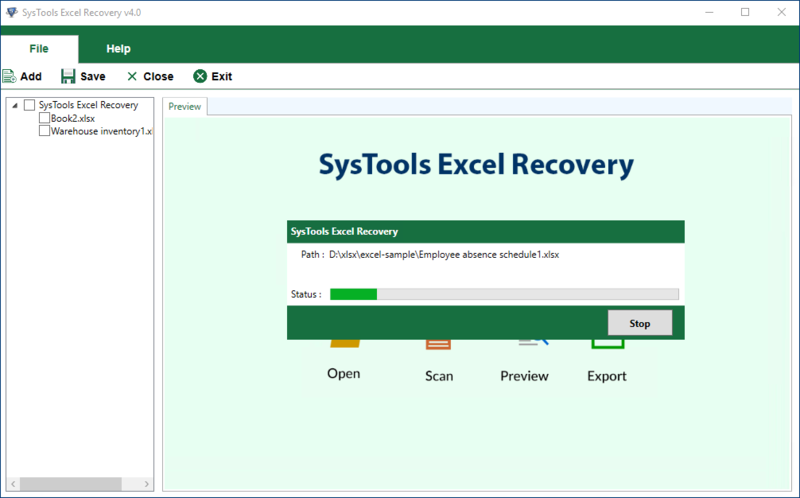 Download Systools Excel Recovery software and recover all objects within Excel Worksheet. 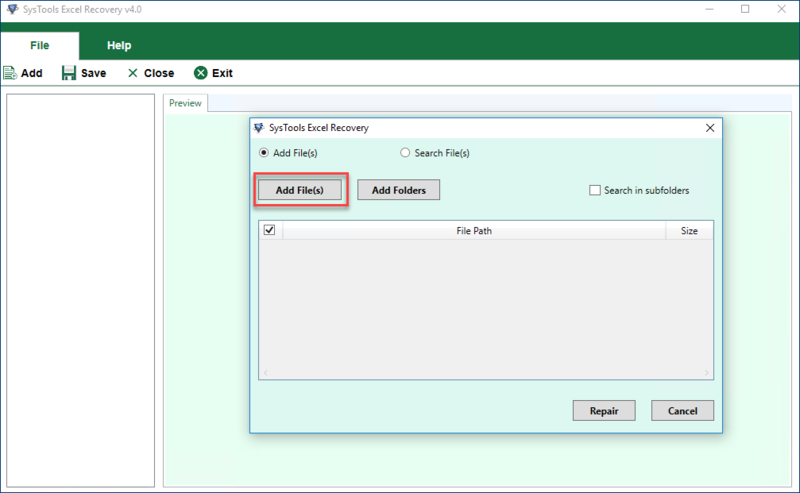 Select desired XLSX File from your system location that you need to repair. the, Click on "Open"
Select desired folder contaning XLSX File from your system location that you need to repair. 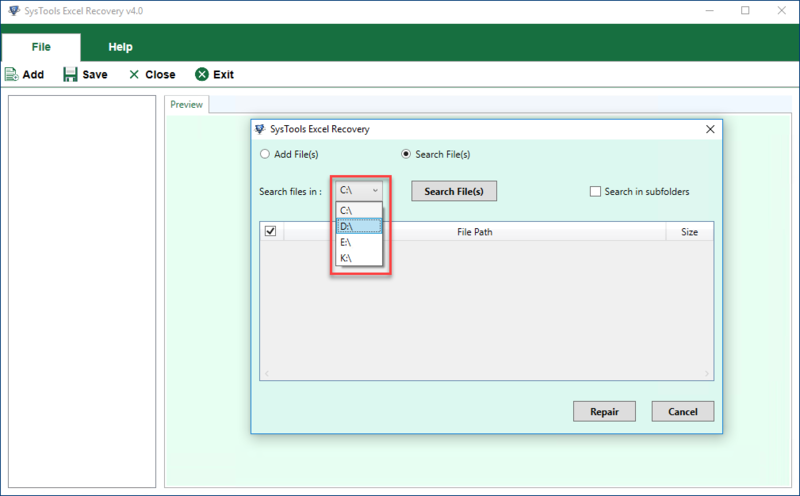 the, Click on "ok"
Choose Search File(s) button to search & browse multiple .xlsx file for recovery. 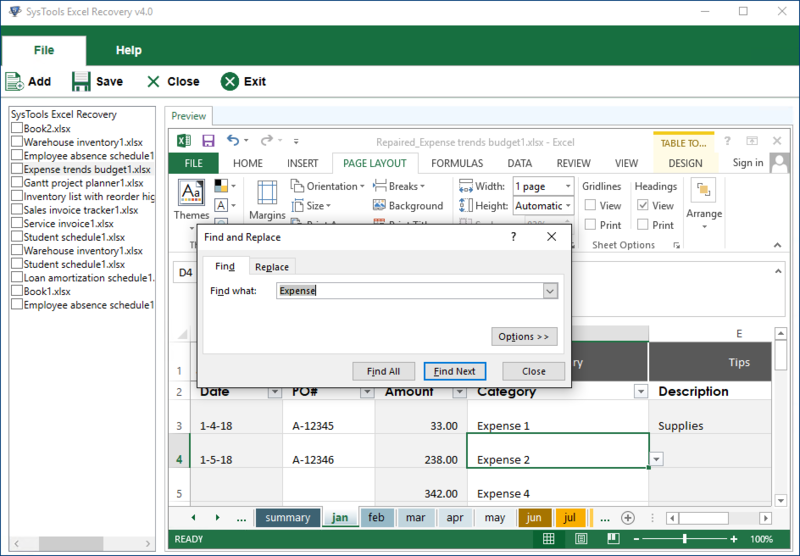 Click on drop down menu to search with drives (C:\, D:\, E:\) automatically detected by the software from your system. 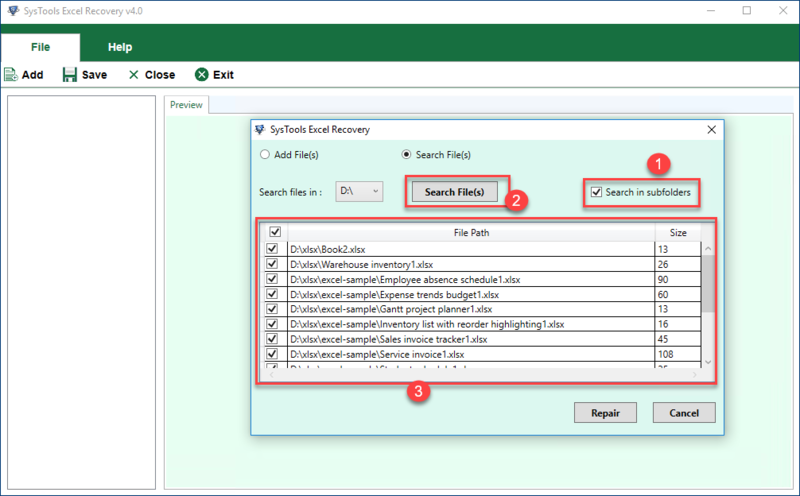 Then Click on "Search file(s)" to begin the search process. 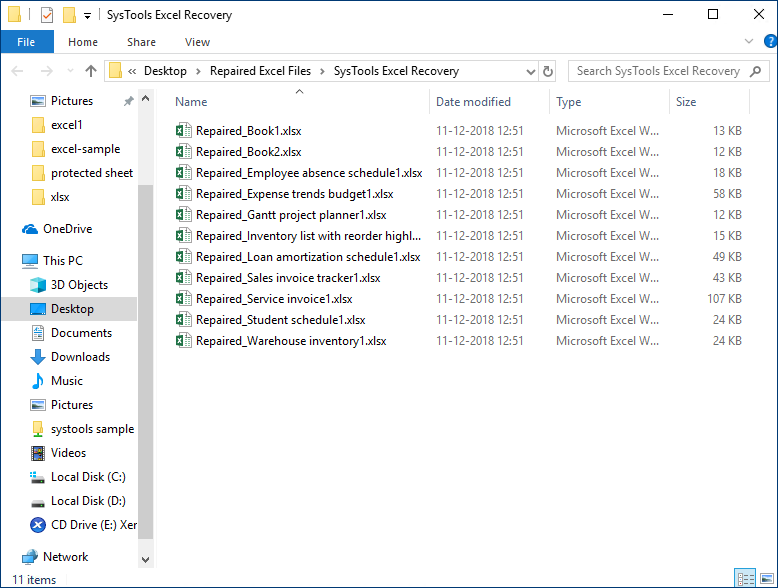 To search .xlsx file within sub-folders of a drive. 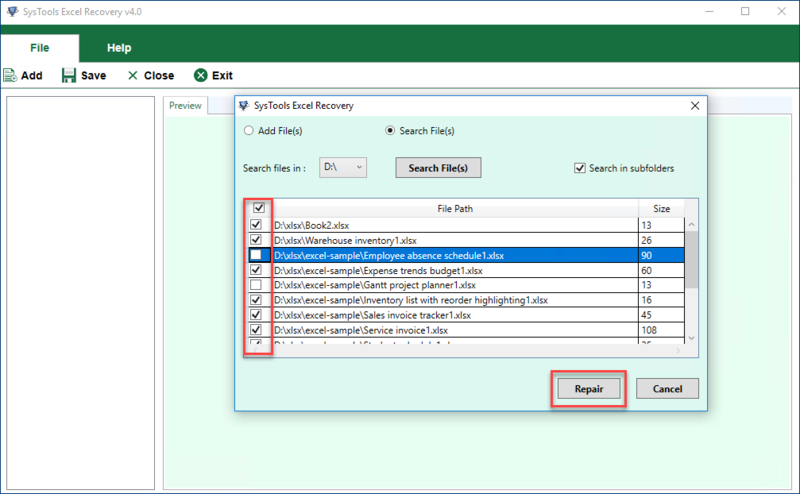 Choose "Search in sub-folder" checkbox. 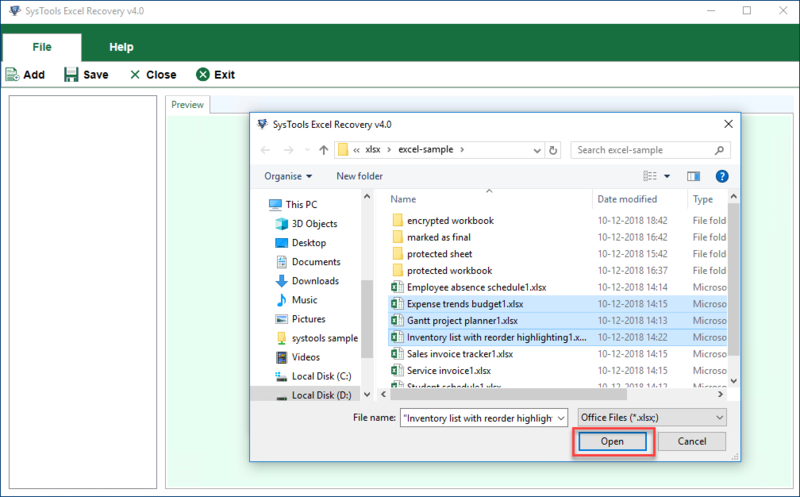 Note : If "Search in sub-folder" is unchecked, search will be only performed in root folder of the drive. 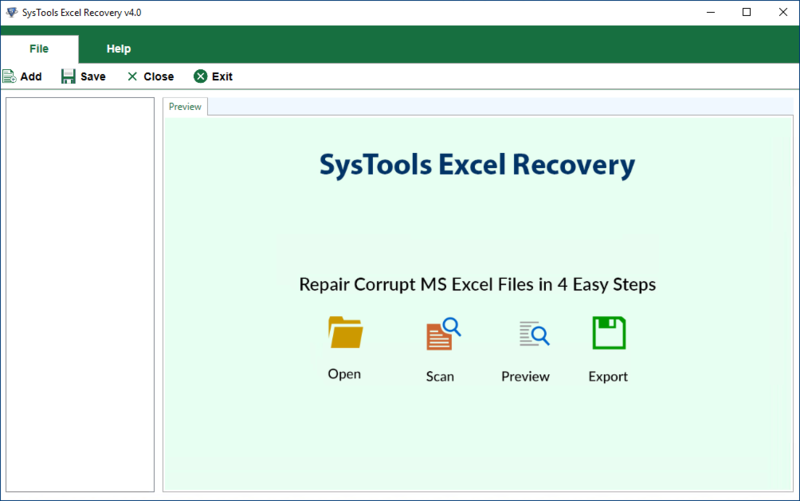 Once you have browsed the .xlsx file . 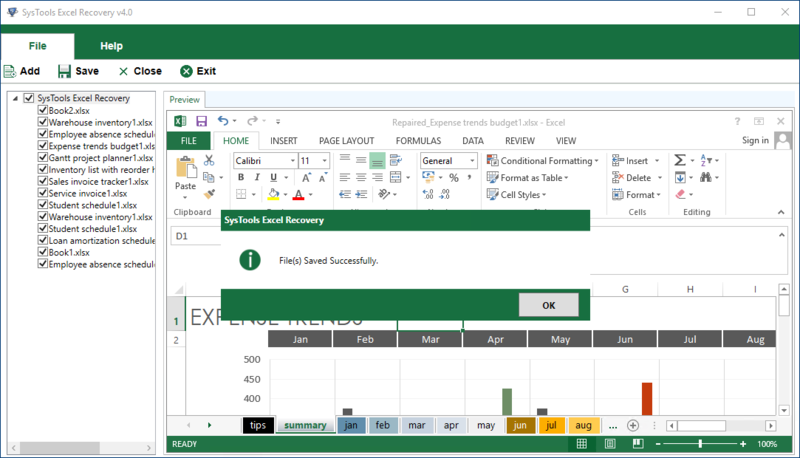 Select the desired Excel file using checkbox, click on "Repair" to proceed with the repair process. 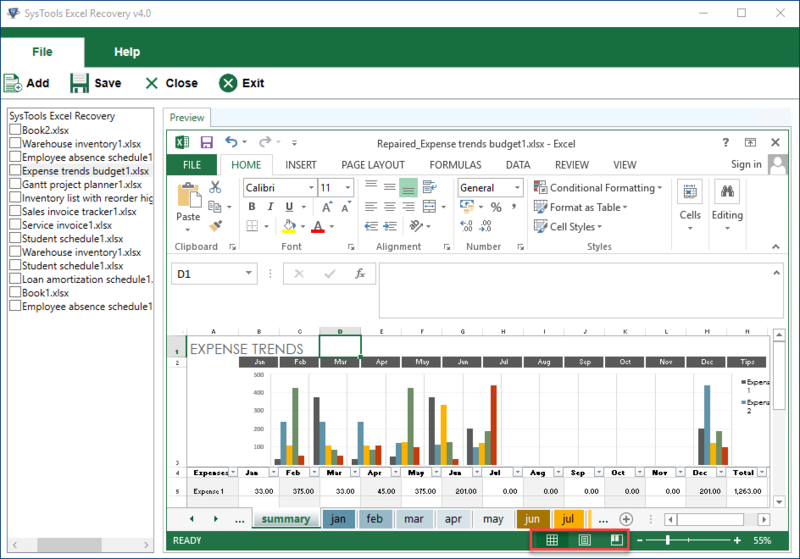 The software also provide following preview functionalities : Normal View, Page Layout , Page Break Preview. 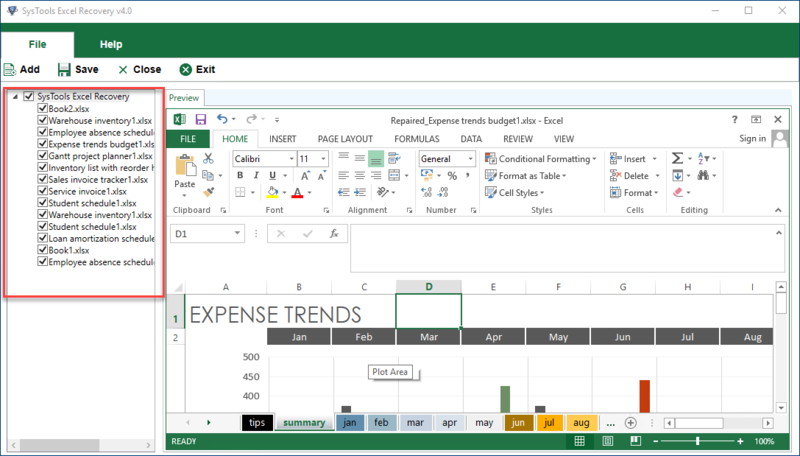 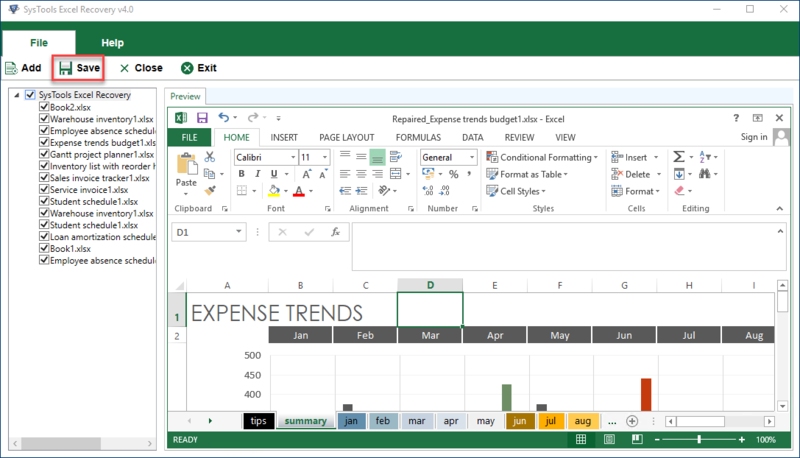 The software also provides an Advanced Search feature using Ctrl +F which permits the user to search with recovered Microsoft Excel file. 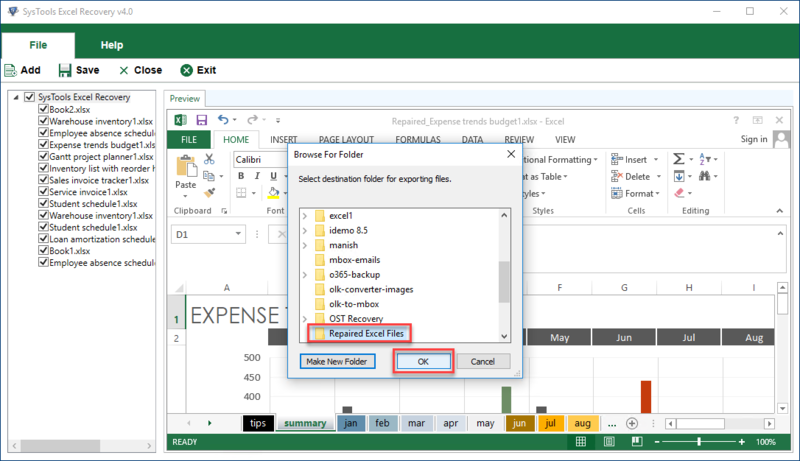 Choose desired files from left panel for saving . 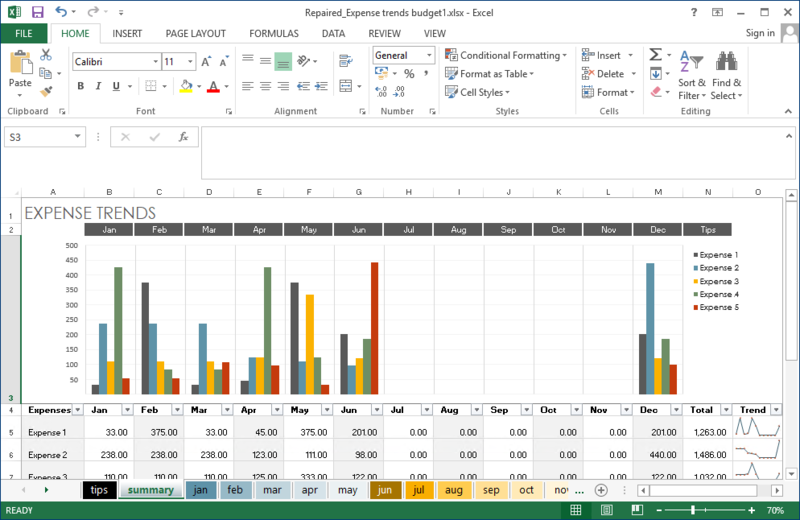 Click on Save to save recovered document. 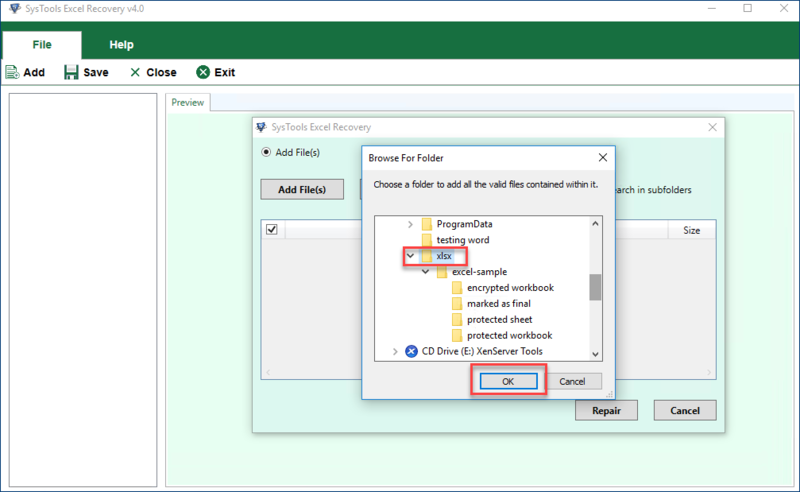 After Saving , the software displays a prompt with message "Files Saved Succsesfully"